Nielsen Sports has launched its first Fan DNA™ report in South Africa, which features a new way of segmenting sports enthusiasts and shows that South African fans are blazing a trail in terms of their lifestyles, interests and media consumption patterns making them a highly nuanced and at times hard to understand market. 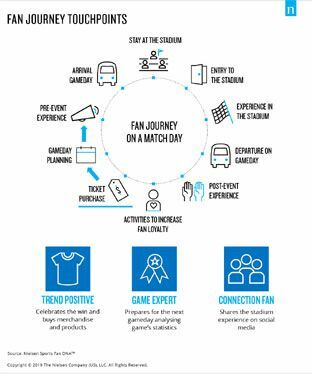 The local report was built on the global Fan DNA™ model, which incorporates 10 years of fan insights across 30 countries and 450,000 interviews focusing on all major sports. In addition, Fan DNA™ foundational research was conducted across eight countries and 8,000 fans. 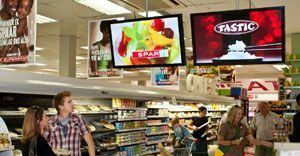 Despite the incredibly diverse group of markets selected, seven clearly differentiated groups of fans emerged, each one with their own distinctive characteristics, behavioural tendencies and attitudes to sport and sponsors. Nielsen Sports business unit MD for Africa, Middle East and Asia Pacific Kelvin Watt explains: “The South African fan base is complex and doesn’t resemble any other market. We’re definitely ‘outliers’ when it comes to the composition of our fan base and their attitudes, likes and dislikes, which makes us unique and at times hard to engage with. That’s a massive challenge for rights-holders and sponsors but it’s also precisely why Fan DNA™ is now more important than ever before. The Fan DNA™ research revealed significant market differences in the way sports fans have evolved and the behaviours displayed towards sponsorship – from the high proportion of Connection Fans in the US to the abundance of Armchair Fans in Japan, to Germany’s greater proportion of Game Experts; vital information for brands and rights-holders looking to target specific pockets of a fan base. 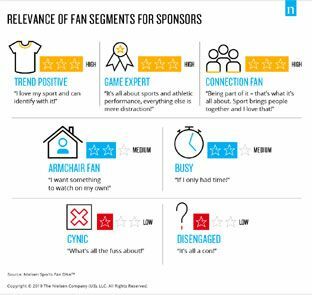 In a pioneering move designed to get to grips with these fan complexities, Nielsen Sports was commissioned by Cricket South Africa to conduct a fan segmentation study using the Fan DNA™ model to provide segmentation guidance to cricket’s governing body as well as their sponsor base. The purpose of the study was to determine the size and profile of the key fan segments amongst South African cricket fans to enable Cricket South Africa and its key stakeholders to reach, communicate and engage with fans in a far more efficient, strategic and meaningful manner. Some of the key findings of the study include the fact that the highest number of local cricket fans are ‘Connection Fans’ - 45% of the South African cricket fan base, versus the 25% global sports fan average. These are fans, whose principal underlying motivation for being a fan is the opportunity it creates for doing things with their friendship group and/or family. Activations that celebrate, enhance, or amplify these connection opportunities therefore strike a strong chord with this group. It’s therefore no surprise that 33% of cricket fans attend braais more than once a month. They are also the fan segment that attend cricket fixtures the most, account for the largest proportion of all sponsorship response, and often have the highest proportion of their lives engaged with a sports property. The study produced a wealth of other in-depth data on different segments of cricket fans including lifestyle interests, the type of events, social interactions and content they enjoy, as well as the media platforms they utilise to access sports content - all invaluable insights for planning and execution of winning sponsorship strategies. Nielsen knows people, Nielsen knows Africa. 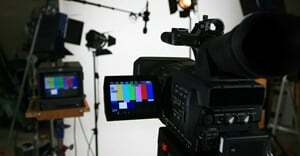 No-one offers a more complete understanding, worldwide, of what consumers watch and buy. 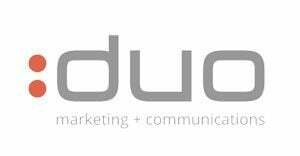 We offer the scale to give you world view - as well as a wealth of local and regional knowledge and expertise.